Argo pushes on in 2019 with their two-up lineup. The Xplorer XRT 500 has a 503cc, single-cylinder four-stroke engine in its frame. The front and rear of the machine are stopped utilizing hydraulic disc brakes. The passenger seat comes with a backrest and hand-holds. There is an electronic power steering model, as well as a Limited Edition version. 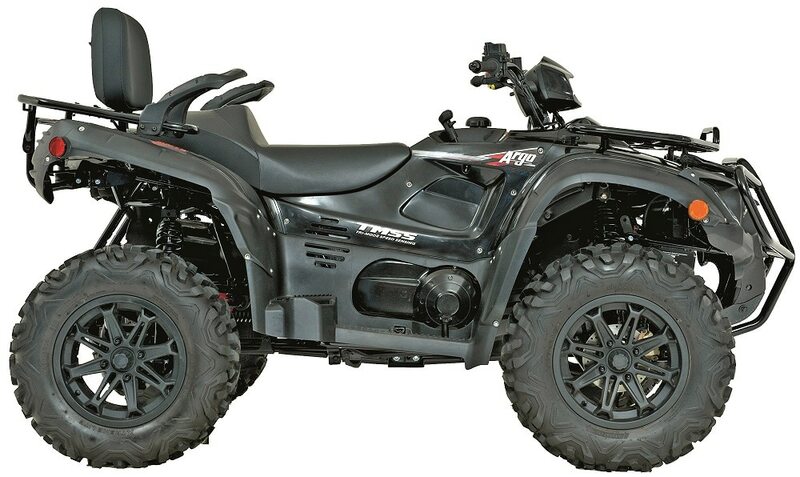 The Argo Explorer XRT 1000 Limited Edition is a full-sized passenger quad. The engine is a 997cc, fuel-injected four-stroke. The Explorer XRT has an automatic CV-style transmission with a high and low forward gear and reverse. Heavy-duty steel racks can hold a combined weight of over 200 pounds with a towing capacity of 1300 pounds. EPS is a standard feature. Can-Am’s two 500-class two-up machines are the Outlander Max 570 and 450. They share an extended 59-inch wheelbase frame in comparison to a single-seater version. The Max is equipped with a passenger seat, backrest and hand-holds. You can upgrade to electronic power steering versions. Claimed wet weight 740 lb./715 lb. The Outlander Max XT package comes well-equipped. 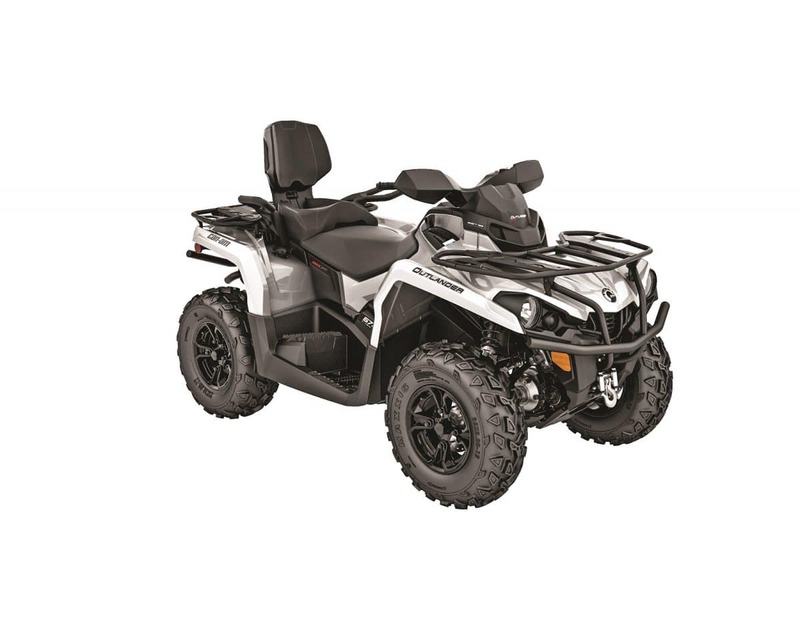 Can-Am’s Tri-Mode Dynamic Power Steering is a standard feature. A 3000-pound Warn winch, heavy-duty front and rear bumpers and 12-inch cast-aluminum wheels are all specific to the XT model of the Max XT. The engine is a 570cc liquid-cooled V-twin that is fuel-injected. Claimed wet weight 741 lb. 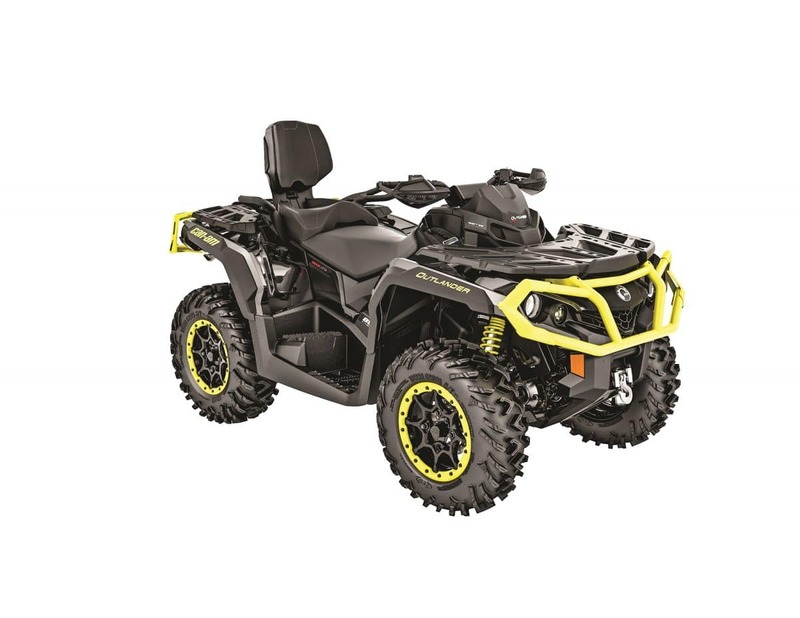 The first machine that rests in Can-Am’s big-bore Outlander Max lineup is the DPS 650. EPS comes standard, and so does the new upgrades to the suspension system for 2019. 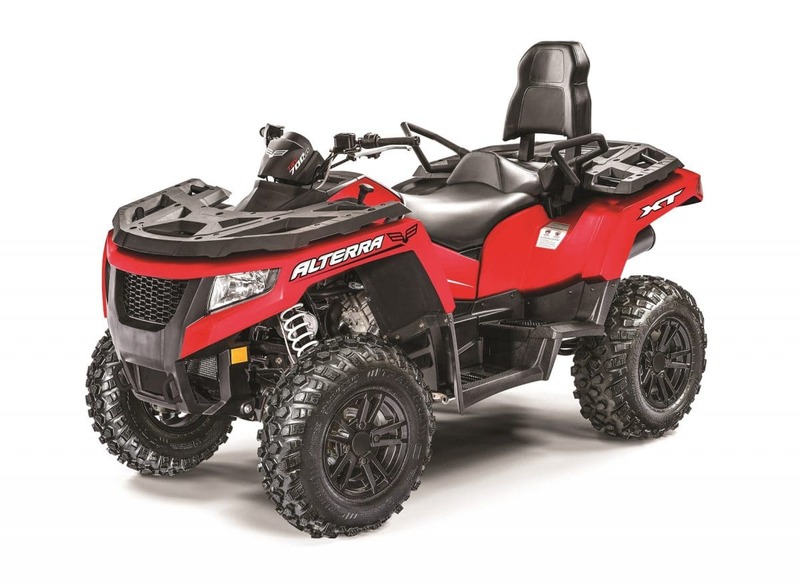 The ATV sits 2 inches wider than before, which means it has more stability. New sway bars provide a smoother ride. Claimed wet weight 827 lb. 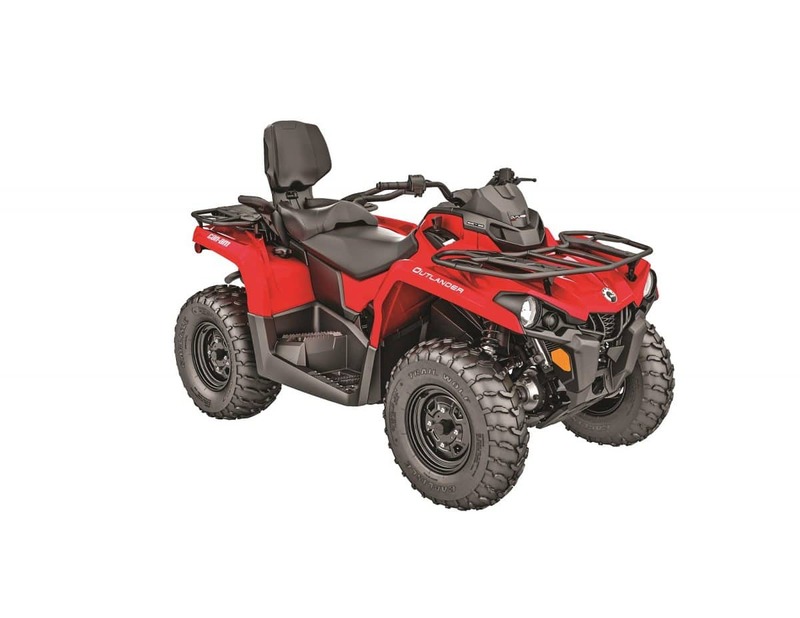 When you upgrade to the Outlander Max XT, you get three engine options1000R, 850 and 650. 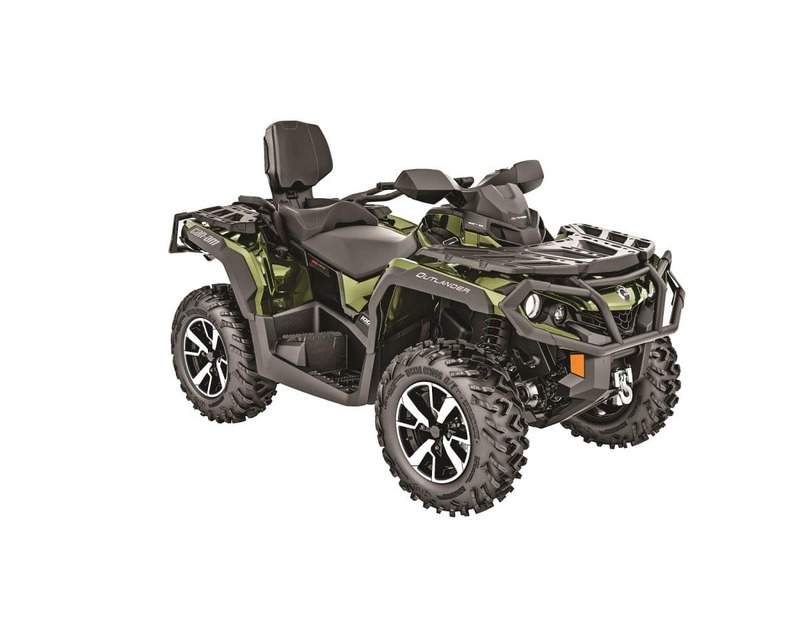 The vehicle comes with two multi-purpose cargo racks with Can-Am’s LinQ Quick-Attach system. 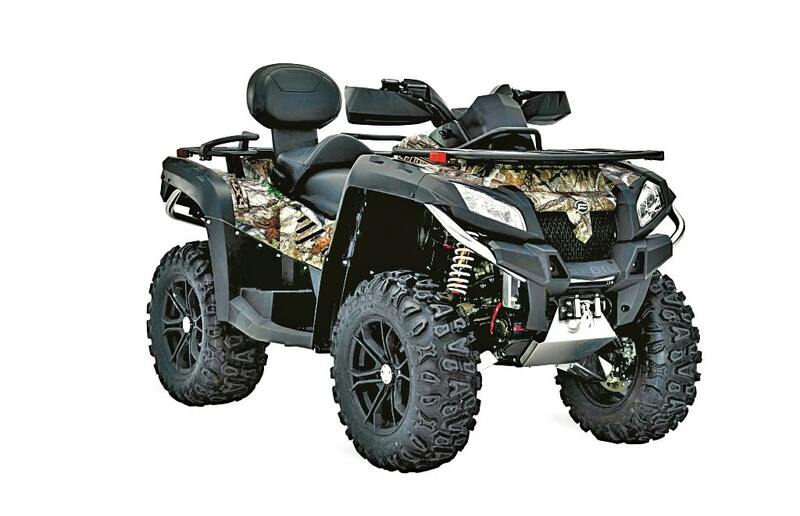 Can-Am’s Tri-Mode DPS, 14-inch cast-aluminum wheels and Warn winch are standard features. Claimed wet weight 821 lb. The Max XT-P packs on a few more features over the XT line. Fourteen-inch beadlock rims with 26-inch tires come standard, along with a Warn winch, newly upgrade HD bumpers and Fox 1.5 Podium QS3 shocks. Traction has increased due to the new suspension setup for 2019. Claimed wet weight 900/874 lb. 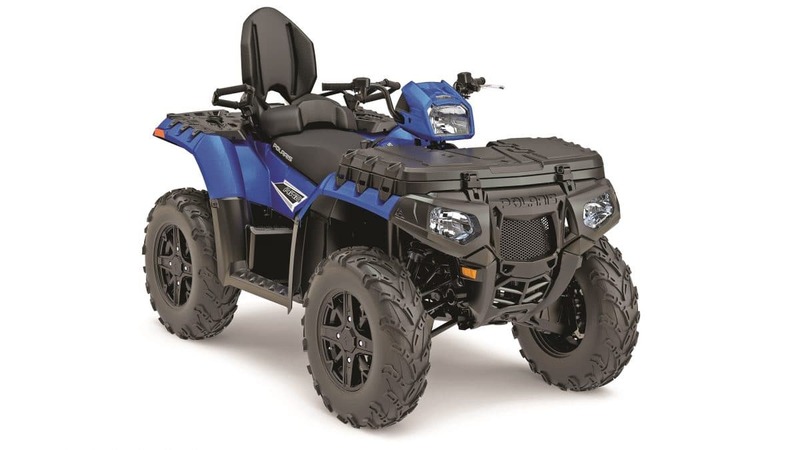 The Outlander Max LTD is like the Cadillac of two-up quads. It comes with rear Air Control Suspension with Fox Air Assist HPG shocks. Braking is supplied by hydraulic disc brakes in the front and one in the rear. Fourteen-inch aluminum wheels hold 26-inch ITP Terracross tires on them. A removable Garmin Montana GPS comes standard. Claimed wet weight 8900 lb. 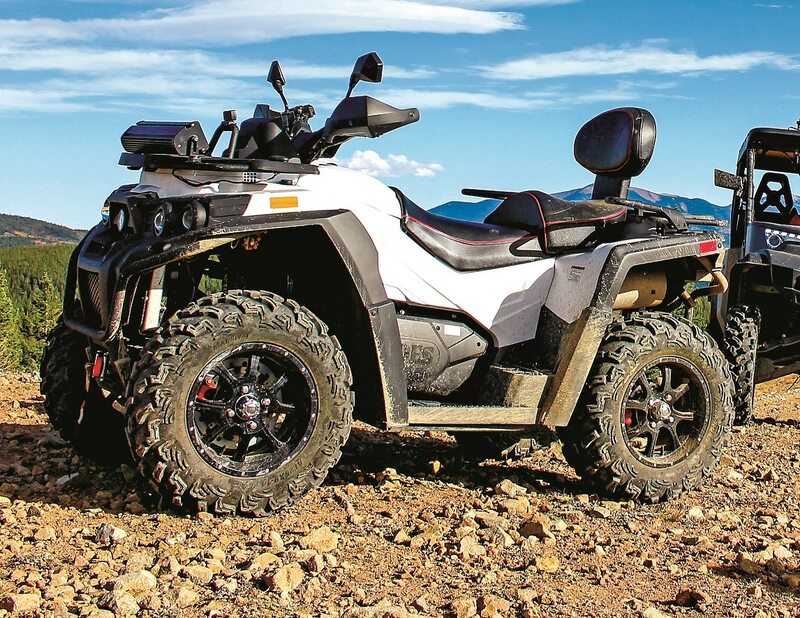 Can-Am transfers over many of their special-edition models from their 4×4 ATVs to their two-up steeds. The Outlander Max North Edition is decked out with equipment that is meant to make riding and working in the harsh and cold elements a lot easier. The machine has mudguards, a windshield with built-in handguards and even grip warmers. Claimed wet weight 874 lb. This machine replaces last year’s 500 H.O. model and comes with great standard features with a comfortable price tag. You get electronic power steering, 12-inch aluminum wheels and a 2500-pound winch. It comes with a USB and DC power outlet. Fully independent suspension comes on the front and rear of the CForce 600. Claimed wet weight 794 lb. 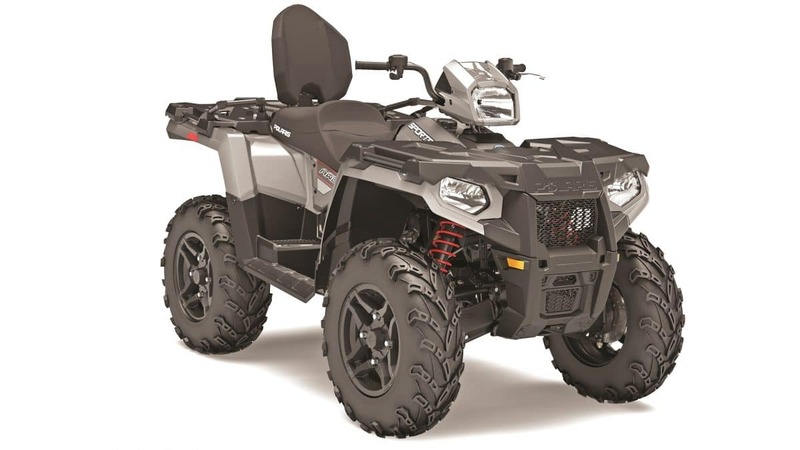 The 2019 CFMoto Force 800 has been adorned with an XC at the end of its title. The model comes with a 65-horsepower V- twin engine that is liquid-cooled. Electronic power steering assists with easier turning ability. A 3000-pound winch is equipped, along with 14-inch aluminum wheels. Adjustable cash shocks provide a smooth ride. Claimed wet weight 970 lb. Hisun’s Tactic 400 two-up comes in three color schemesgreen, red or blue. This machine sits at one of the lowest powered in the two-up class with a 393cc single-cylinder four-stroke mill resting in its chassis. It does have a confident four-wheel-drive system that utilizes a locking front differential. Claimed wet weight 660 lb. This two-up Tactic duo shares the same chassis and a similar outfit. 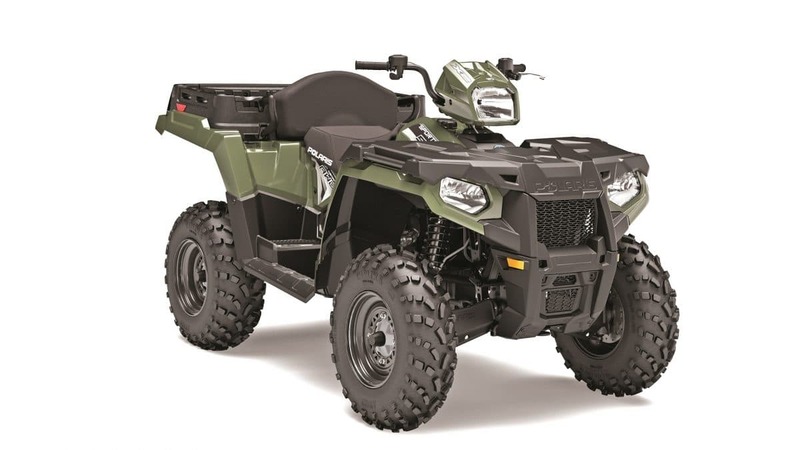 The suspension is four-wheel independent, with four-wheel hydraulic disc brakes, a front diff-lock, handguards and a winch. The wheels are aluminum. The engine options are both four-stroke powerplants with automatic CV-style transmission paired to them. Claimed wet weight 853 lb. 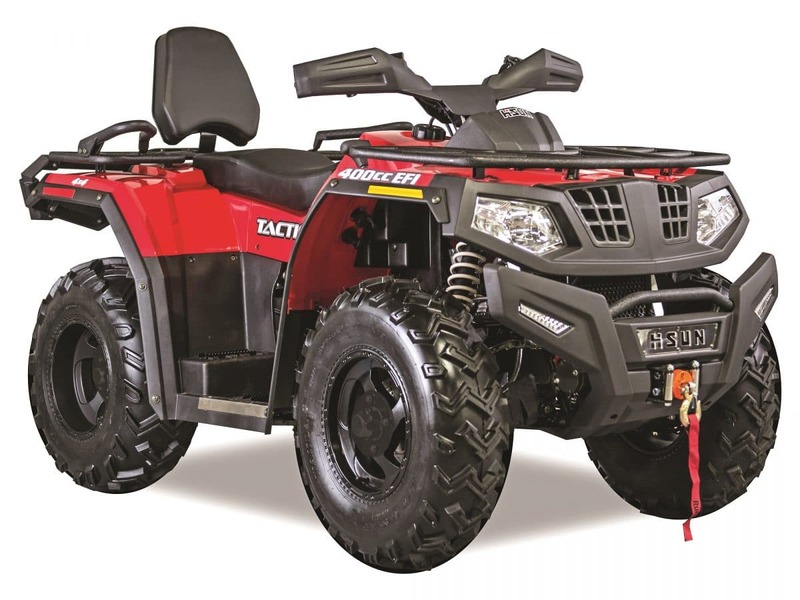 Tactic 1000 comes fully loaded with electronic power steering, a front-locking differential, machined cast-aluminum wheels, a 3500-pound winch, handguards and the ability to tow 1200 pounds. A fuel-injected, 976cc V-twin engine powers the Tactic 1000. The front and rear suspension is fully independent with hydraulic disc brakes. Claimed wet weight 1047 lb. 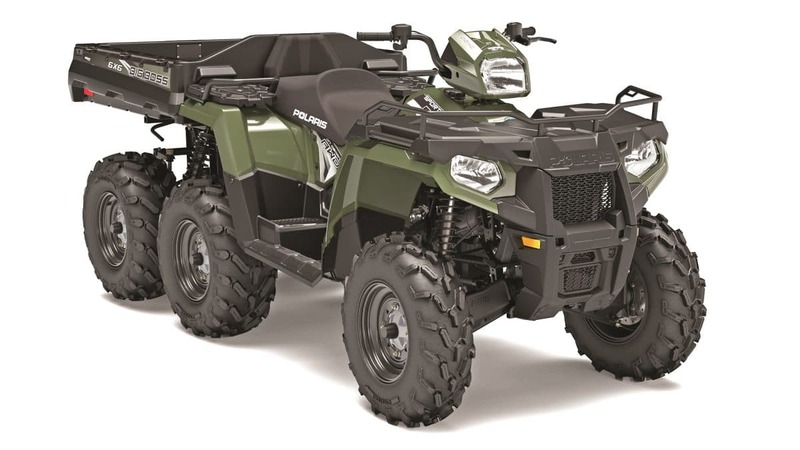 The Assailant Zeus two-up 4×4 is the single ATV in the 2019 Odes lineup. This machine features a rear seat and backrest with passenger hand-holds. Rear-view mirrors, handguards, bumpers, a 3500-pound winch, under-seat storage and more come equipped. It ventures forward with the help of a four-stroke V-twin engine. Claimed wet weight 865 lb. 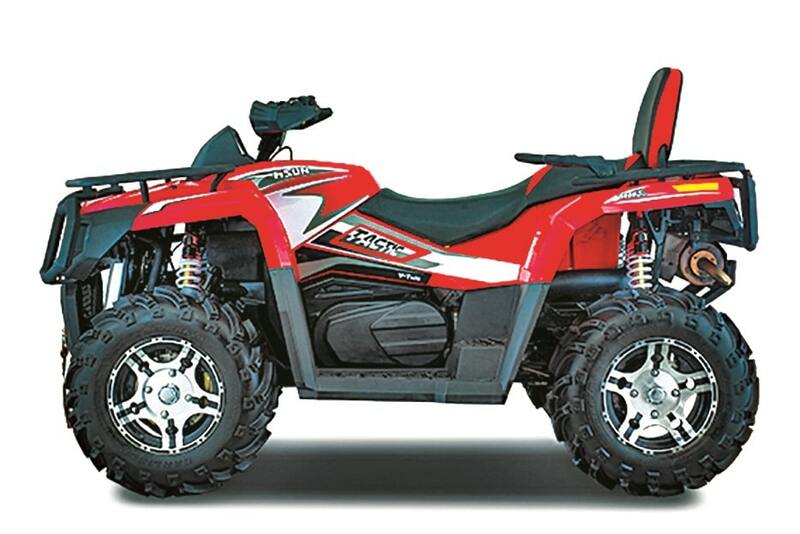 The affordable rung of Polaris’ two-up ladder is the Sportsman Touring 570 line. The base model comes with basic features, but you can upgrade to EPS for an addition $1000. After that the 570 SP gains an assortment of features including an engine braking system and 14-inch aluminum wheels. Claimed wet weight 728 lb. The Touring X2 was designed with the work site in mind. It comes with a 400-pound-capacity rear-dumping cargo bed with a fold-down gate. 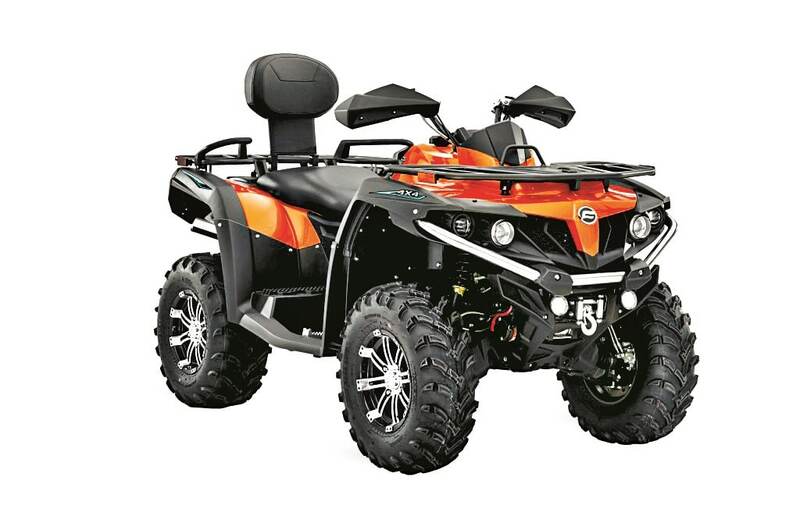 You can configure this ATV to have a rear passenger seat. Towing capacity comes in at a healthy 1,225 pounds. EPS comes standard. Claimed wet weight 788 lb. 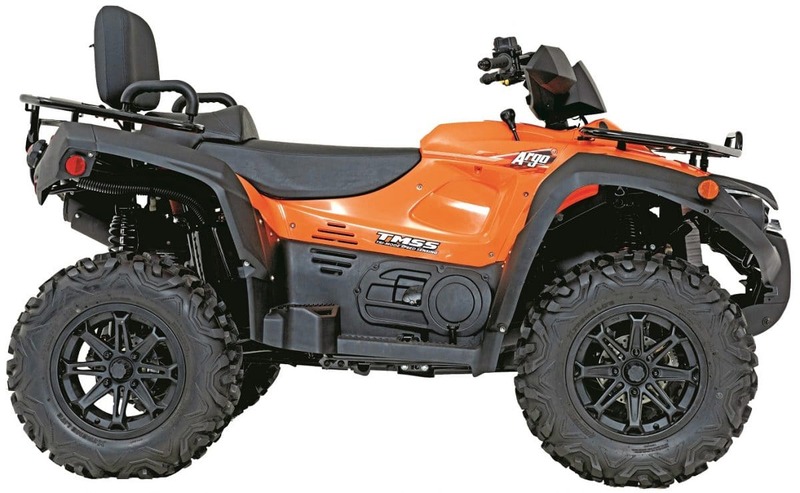 A wealthy, 78-horsepower, twin-cylinder engine with EFI is cradled in this quad’s frame. You couldn’t ask for a more controlled big-bore engine. 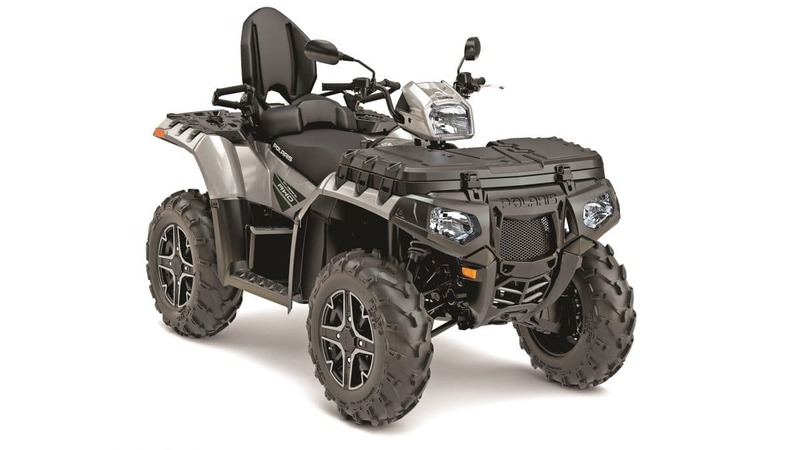 Automotive paint, variable electronic power steering, an engine braking system with active descent control, and Polaris’ On-Demand all-wheel-drive system are all standard features. Claimed wet weight 804 lb. Plenty of power is an understatement with the Sportman Touring XP 1000’s ProStar 952cc four-stroke fuel-injected engine. Polaris’ engine braking and descent control options come on this rig, along with their close-ratio, On-Demand all-wheel-drive. Independent suspension comes on the front and rear. Claimed wet weight 886 lb. The world is a demanding place, and the Big Boss 6×6 is ready for the challenge. Above the extra set of wheels rests an 800-pound-capacity dump bed. It can tow an impressive 1500 pounds and has a large cargo bin below the front cargo rack. The Big Boss is ready for work or play in any environment! Claimed wet weight 1075 lb. 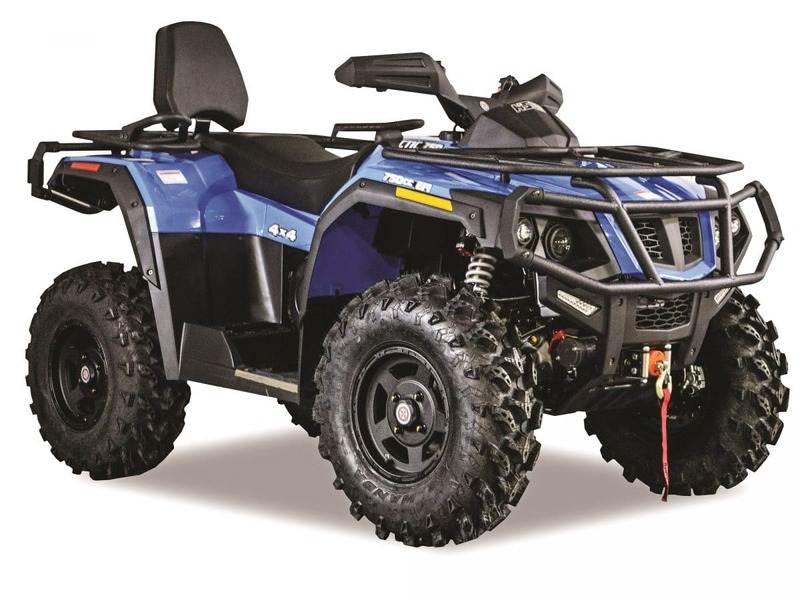 One machine resides on Textron lineup with two-up capability, and that is the TRV 700. The engine is a sporty 695cc single, with electronic fuel-injection and is liquid-cooled. Electronic power steering comes standard and it is equipped with an electronic lowing four-wheel-drive system. Cargo racks come standard. For More Info on Any of The Machines Found in Our 2019 Buyers Guide Check Out These Contacts!